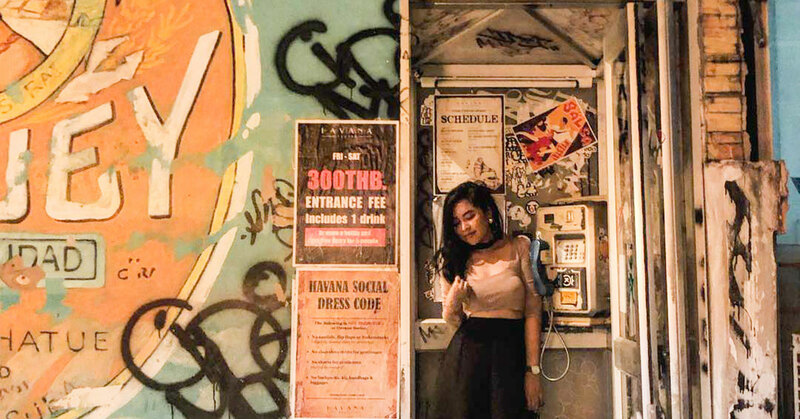 6 secret speakeasy bars in Bangkok with secret doors, classy cocktails, and more! 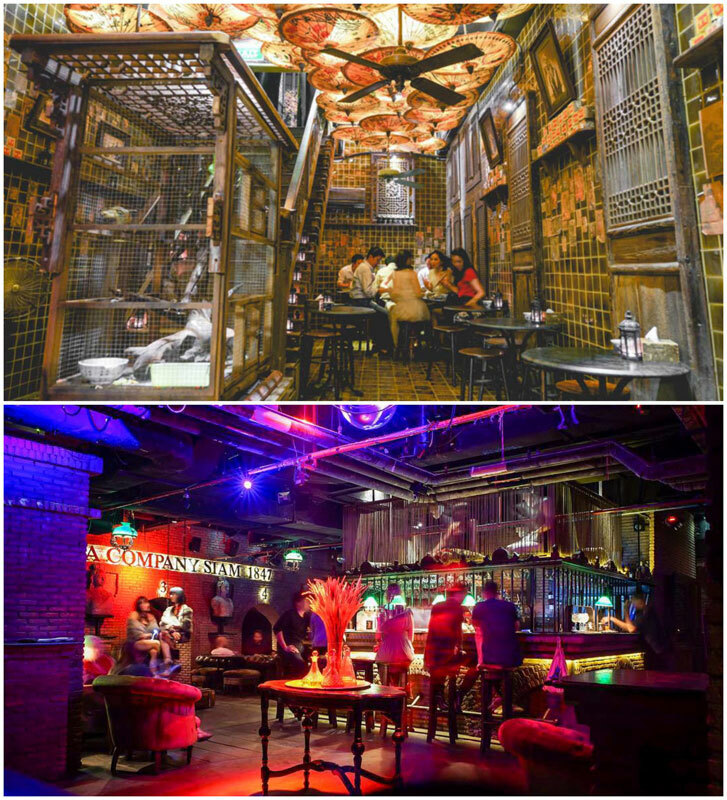 Thailand » Bangkok » 6 secret speakeasy bars in Bangkok with secret doors, classy cocktails, and more! Bangkok definitely knows how to do nightlife right. From high-end rooftop bars and trendy dance clubs to cosy intimate live band pubs in Chinatown, Bangkok has something for whichever mood you’re in that night. If you’re not the typical bar-goer and are a bit of thrill seeker, Bangkok has some bars that are hidden from the public intentionally and unintentionally. Some of them hide behind a decoy door, and some of them just hide in plain sight. Some of them even locals don’t know they exist. Don’t worry that you will waste your time. Trust us, all these hidden bars will be worth your effort. You will be rewarded by world-class creations of cocktails accompanied with a unique experience and all around good vibes at these bars. Your mission is to follow our clues. We won’t publish any names, addresses and most definitely not the Google Maps coordinates of these bars. Some of them we honestly can’t because there are none. If you choose to accept this mission, continue reading! 34 charming new unique cafes and restaurants in Bangkok that are must-visits! Once you find this bar, you will enjoy the upbeat vibes with an elegant retro-styled décor. The people behind this bar take their craft seriously. The innovation of their cocktails is out of this world, with the names that are unheard of like “Sorry Only BTS this Century”. Their speciality is a classic drink with a Thai twist, using Thai flavours and herbs, like jasmine, bitter melon, and coconut. If you are a serious and adventurous cocktail drinker, this is your kind of bar. Although you’ll have to find it first by following the clues. 1. Go to Sukhumvit Soi 11 Alley in Nana district. 2. Keep an eye out for a restaurant with a second floor accessible by a flight of stairs. 3. Go to the bar on the second floor. 5. And step into the darkness. 2. You will get “Locked Out” if you can’t find DOUBLE secret doors to this bar. It’s a sister bar of bar #2 on this list, created by the same group of A-listers in Asia’s cocktail industry. You know it must be really good when there’s not just one secret entrance, here there are TWO. Once you use your super skills to figure it out, reward yourself with a top-notch cocktail. Playing on “Past, Present,& Future”, you can try three different versions of the same cocktail. You can stick with the classic, then be awed by the updated version for the now. Lastly, you will be mind-blown by the master mixologist’s creativity in the ‘future’ version. To keep up with the double secret doors, we’ll give you TWO riddles to solve in order to figure out the clue. 2. Find a bar with the answer of this first riddle in its name “Which superhero can also make your shirt wrinkles disappear?” Hint, not Superman, not Aqua Man. 3. Go to a small alley next to this bar. 5. Don’t celebrate yet. You’re almost there, but not quite yet. You’ll still need to figure out the location of the second secret door. We’re sure you can take it from here. Good luck! Even if we give away the name, you wouldn’t be able to find any signage of this bar on the street. But when you find the secret entrance, you’d think that you’ve just magically travelled across the world to a bar in Cuba. Immerse yourself in a pre-revolution 1940s Cuban-style décor, and enjoy a drink on vintage sofas. We recommend a rum-based cocktail which is their speciality. 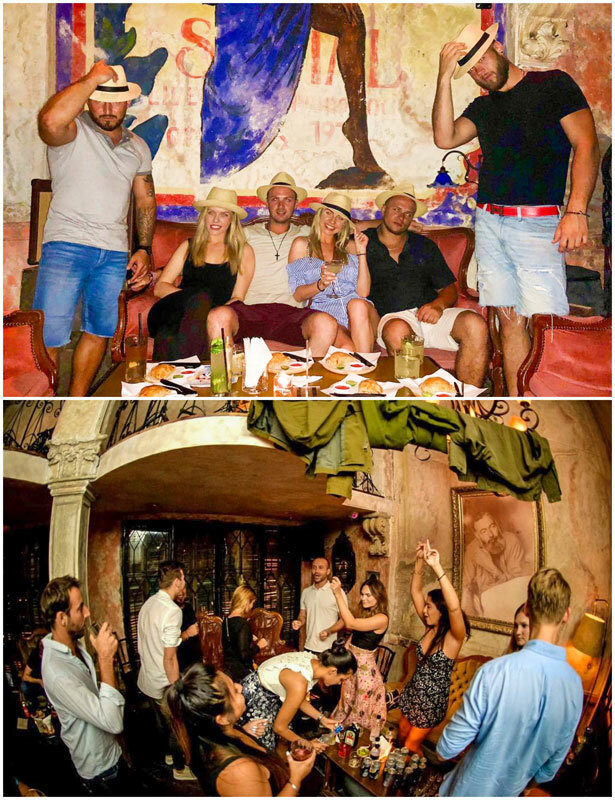 But if you’re in the mood for a party, grab your fedora and come on Friday or Saturday nights when a live band will play Cuban jazz, followed by a DJ to keep your night going! 3. Go into an even smaller alley next to the 7-11 store. 5. When you are at the secret entrance, call 06-1450-3750 to get a secret code to open the door. 4. Don’t feel ‘Bitter’ if you can find this bar, you just need to know where to look. So far we have secret bars where they try to fool you with a secret door. But at this bar, there are no tricks and no decoy entrances. It’s just located in a hide-out spot that you might walk by without noticing it. Not that it doesn’t want to be found, the bar keeps the intention of being a quiet place. No frills, and no unnecessary noise. Occupying an old abandoned printing house, this bar keeps everything to the bare minimum. From exposed concrete, few sitting areas, and dim light, to no standing, and no shouting rules. This place is ok if you want to be left alone to enjoy a cocktail from a talented mixologist from New York City. Hidden away from the street light, you will need to be brave when navigating your way into the eerie and dark small alley to find this bar. There are small signs providing direction throughout, and even at the entrance but as we mentioned – if you don’t know where to look, you might miss it. So pay close attention to our clues. 5. Go up to the 3rd floor. You are in the bar and you don’t even know it. Sometimes the best of the best requires that it remains mysterious. Created by a world-renowned mixologist, he (or she) hides this bar at the dead end of an alley with no name. Once you find the alley, you’ll still need to find the entrance. There’s not a sign indicating where the bar is. Many first-timers may stumble back and forth few times down this dark alley. If you’re lucky, one of the friendly staff will open the door and save your lost soul. The bar keeps the ambience dark and mysterious with jaw-dropping design, by yet another top-notch bar designer in Asia. What to order? Anything that your heart desires. There’s no menu to limit the imagination of the skilful bartender. 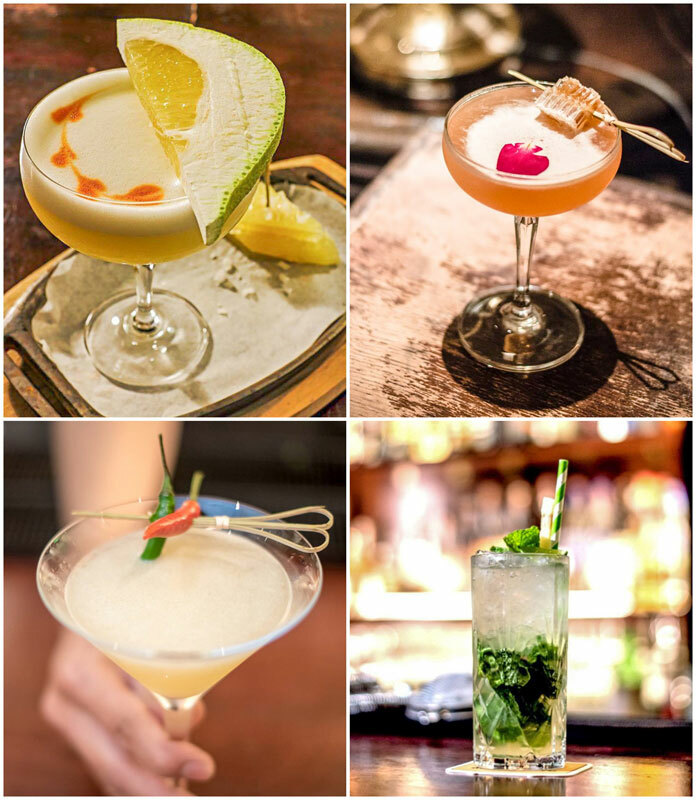 Every single cocktail is custom-made to your personal taste. Let them know what you like and how you like it, and watch the magic happen. 2. On the odd and single digit number side, find a small dead-end alley. Hint, it’s very close to a ramen shop. 3. If you can’t find the door, look for the shadow. Imagine walking down a steep staircase that leads you to a tiny noodle shop. You’re not sure that you’re in the right place, but you’ve found a secret pathway revealing a room 10 times bigger than the restaurant with vault doors along dark brick walls. The room is filled with people, music, and cabaret. It’s like a whole different world. The bar has been designed to reflect 1930s Shanghai vibes, which gives off the feeling of opium dens, illegal gambling, mafia bosses and seductive cabaret girls. The bar often hosts themed events and costume parties. So be prepared to let yourself go in this curious fantasy-filled world. 1. Go to the end of Silom Road where it sparkles with diamonds and gemstones. 3. Look for a Chinese restaurant with a carved wooden door. Sorry, we can’t tell you the name but little hint: it’s a girl name. Ready to go? Get your super detective hat on and let’s go secret bar hunting! If you’ve managed to find some of these bars, we’d love to hear about it in the comments below! Travel junkie, photographer, foodie, and citizen of the world. Born and raised in Thailand and now travel across the globe to get a fresh perspective of life. Often stay off the beaten path ,find unforgettable things to do, and good food to eat. Love to share my adventure and unexpected finds through my story and my lens. 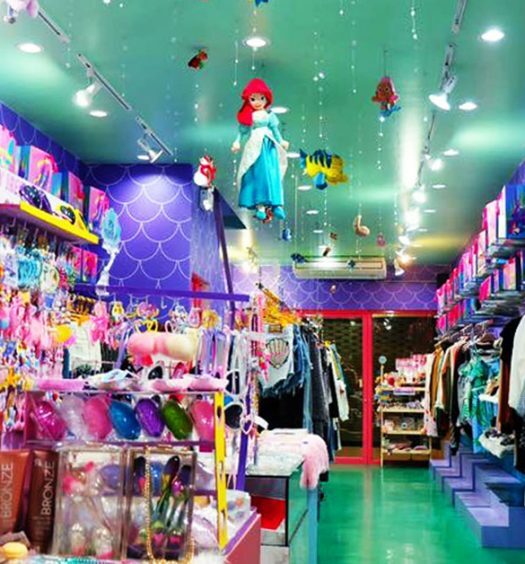 Forget unicorns: Check out Mermaid Island Cafe in Bangkok where you can bask in rainbows, sparkles and magic! 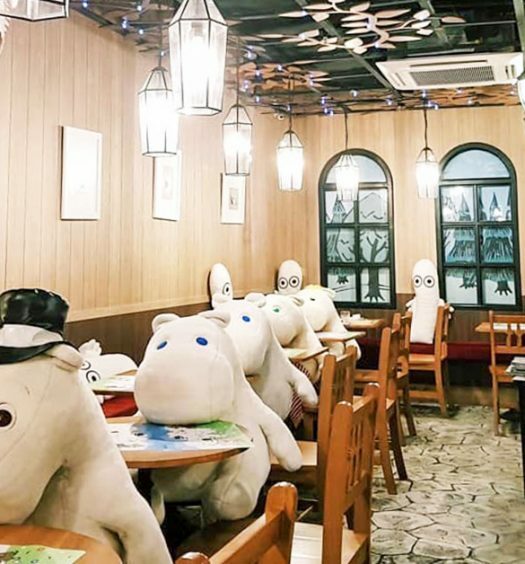 16 family-friendly cute cartoon-themed cafes Bangkok, Thailand to eat at!